In 1987, Nintendo made Mike Tyson’s Punch-Out! 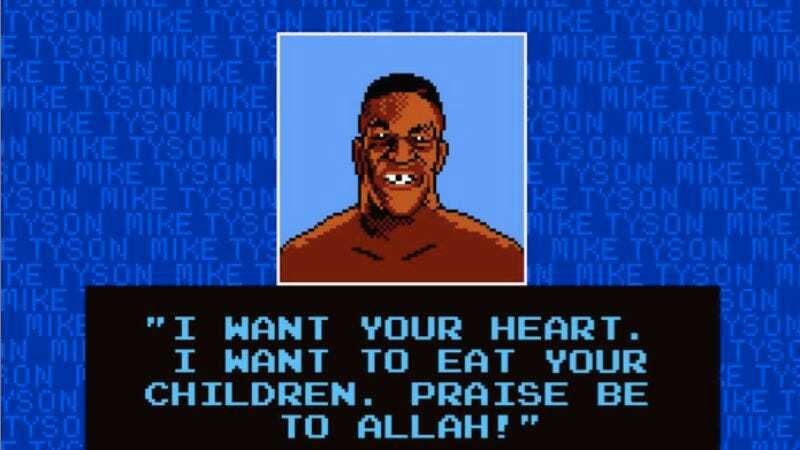 !, a boxing game that featured star fighter Mike Tyson as the final boss. Ten years later the same man bit a chunk out of Evander Hollyfield’s ear and it only got weirder from there. James Harvey has adapted a handful of images from “the real Mike Tyson’s” version of Mike Tyson’s Punch-Out!!. It’s safe to say that any of this would throw Little Mac off his game.